Hey dearie! I'm back again! I'm excited to blog about this today..cause it's all about designers bags again…hahaha! Agree or not, women are getting more fashion conscious lately. There are so many attractive design in the market nowadays. Whether a woman goes on a shopping spree, or to office, to travel or event... most of the women always prefer to go out with a handbag. That's how important a handbags can be. We need different handbag for different occassion, hahahaha! Women can never have enough bags. That's women! *evilgrins* Yay or Nay? For me, BAGS.. It should be good quality, affordable, functional and yet beautiful. Well, i have to admit that I'm such a lucky girl. I love blogging, i love event! 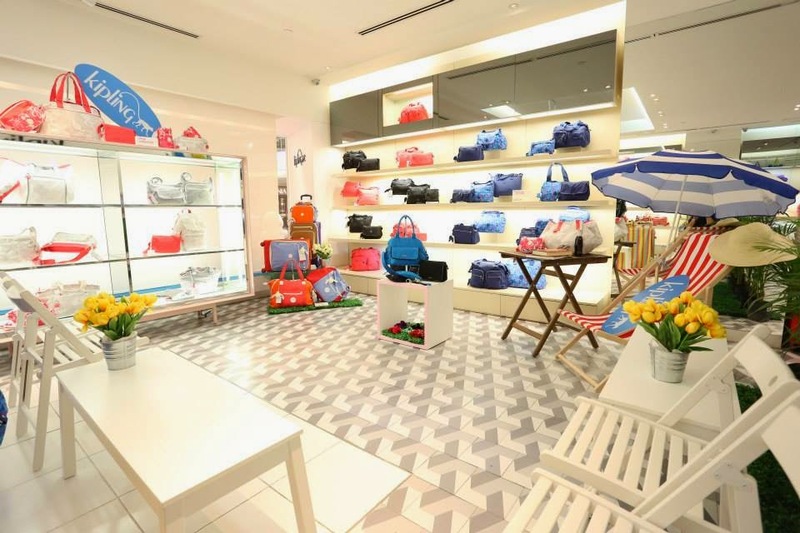 You know what, I got invited to Kipling Summer Wave Blogger Party last few days, which is located in Midvalley branch. 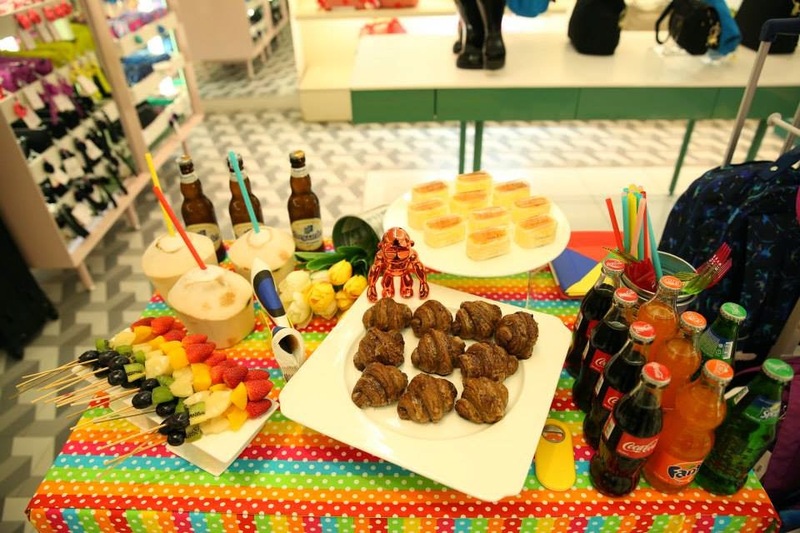 It was a private event, exclusively for the invited bloggers only. Thank you Babe Shirley for the invites & big thanks to Person Edge for the opportunities once again! It was such an honor, i always get to attend awesome event & meet up with awesome & talented people! The whole outlet is closed that day for US and nicely decorated with all the summer theme. 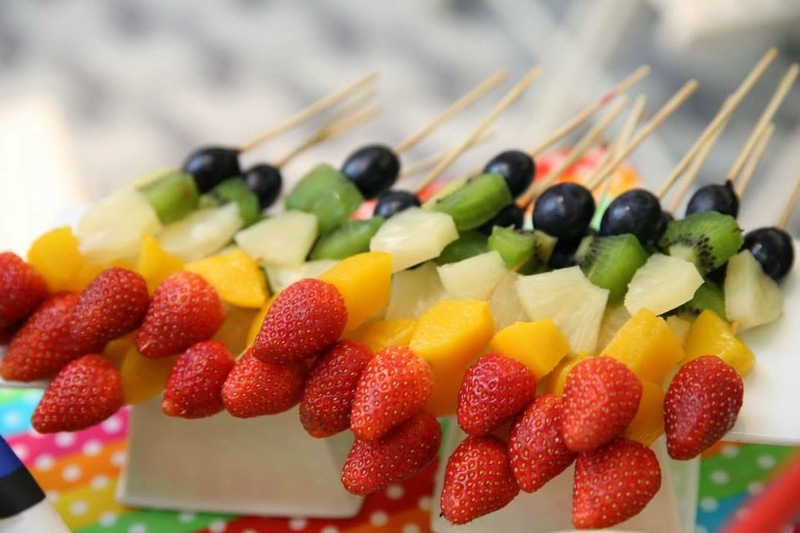 The refreshment was prepared! Awwww, so sweet of them! Thank you photographer for all the nice photos! 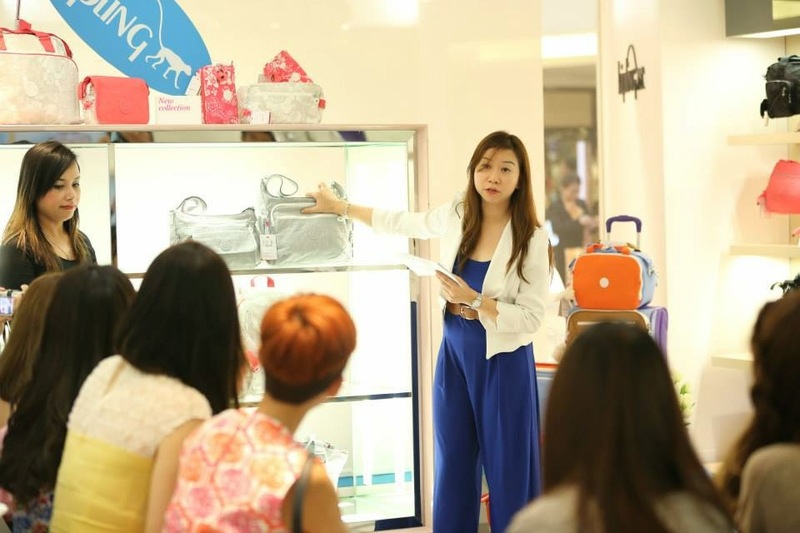 We had better understand with their bags after listening to her explanation. Alright, What's so special with Kipling Bags? Well, They are made out of a fabric called crinkle nylon which is waterproof and very easy to clean. 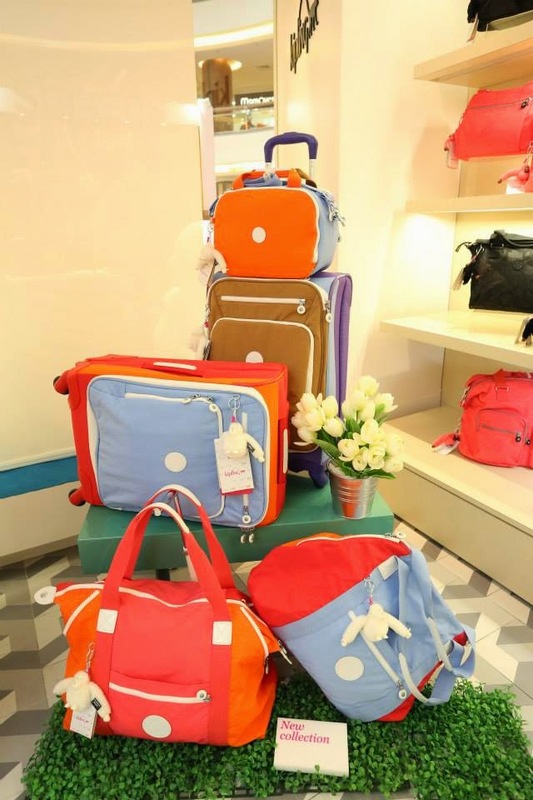 All of their bags come in really nice designs and bold colours, and lots and lots of compartments. Besides that, Each bag (excluding purses and wallets) comes with a matching monkey. It's their signature monkey. That's what makes Kipling Bags unique. This is one of my favorite design among all! I am always looking for bags that are practical to my daily life. 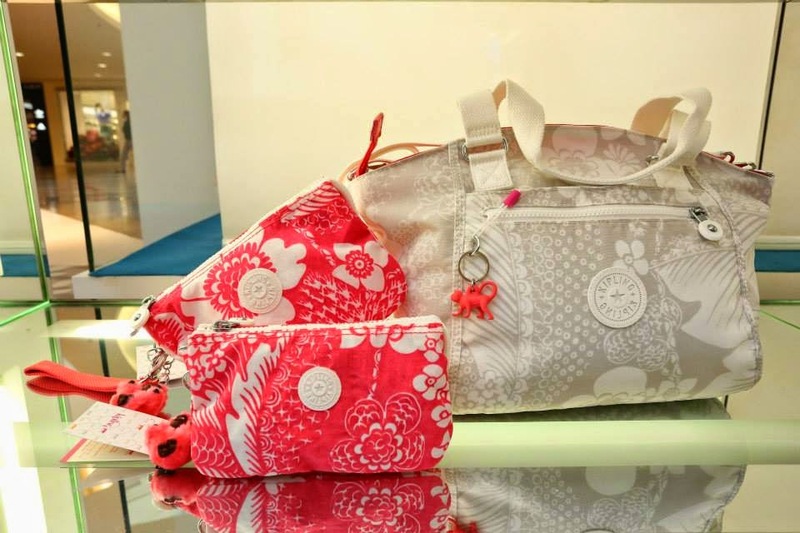 The positive points to this bag is the strap, which you can have it short or long. I prefer having the strap long to use as an across the body bag…and the color is so nice! Matches with my dress i wore that day. hahahah! Their bags are casual and vibrant. The best part is.. it's affordable and very functional. 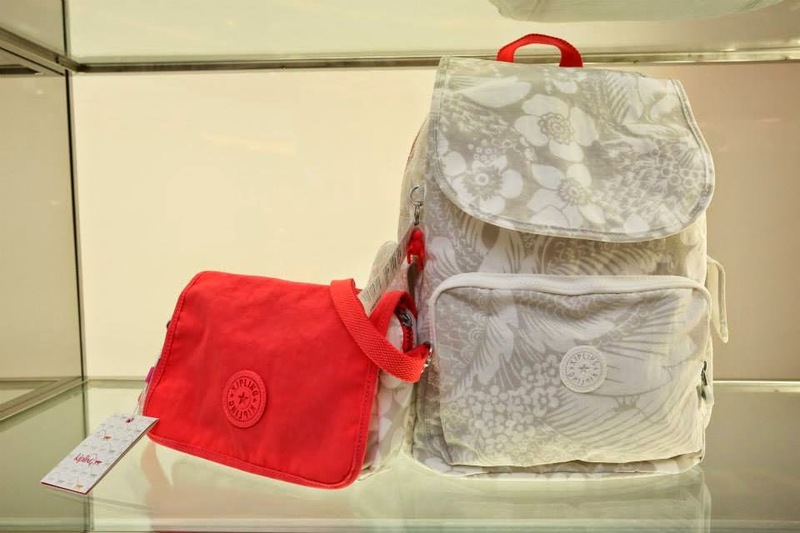 Founded in 1987 with its name inspired by Rudyard Kipling, the author of “The Jungle Book”, Kipling has evolved beyond its original roots of providing high quality backpacks suited for the adventures of everyday life into a distinctive, worldwide brand offering a range of carryalls for a variety of lifestyles. Its bags are effortlessly stylish, colorful and fun as well as practical and durable enough for even the most active individual. 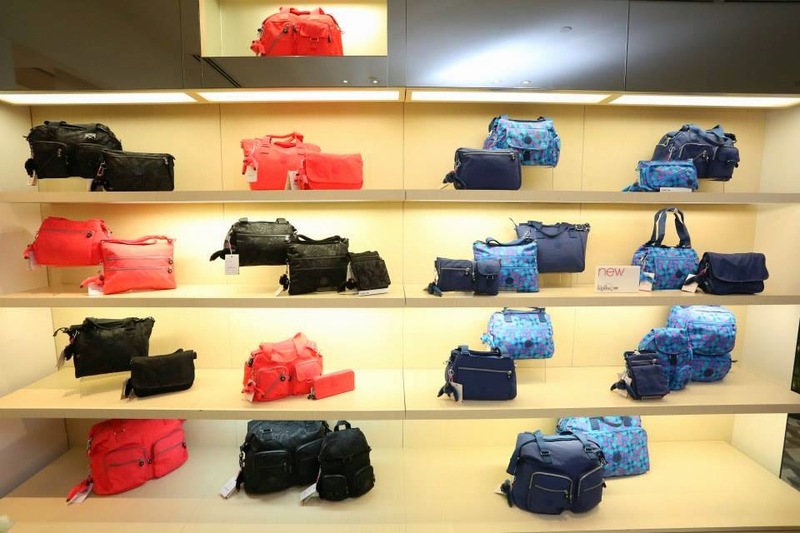 Headquartered in New York City with products developed and designed in Antwerp, Belgium, Kipling North America is a division of VF Sportswear, Inc.
Why attach a “monkey” to the bags? Whenever you think of Kipling, you think of the monkey. Of course the brand name “Kipling” and Rudy Kipling’s famous work “The Jungle Book” give Kipling the perfect connection. Monkeys are symbols of fun and adventure, so the monkey naturally became the brand’s mascot. And not very much later, it became the monkey key ring. Every Kipling monkey is named after an employee from somewhere around the world. Every collection has its own unique monkey! The monkey has definitely become a collector’s item for anyone who is fun-loving and young at heart… We already know of Kipling addicts who own no less than 425 monkeys! All of these are their latest summer collection. 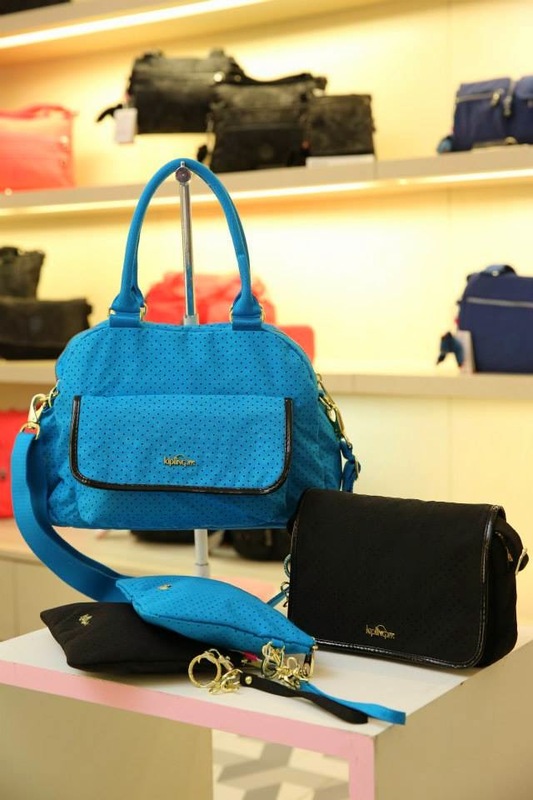 It is convertible and is a multi-ways-to-wear stylish bag for everyday use or traveling. 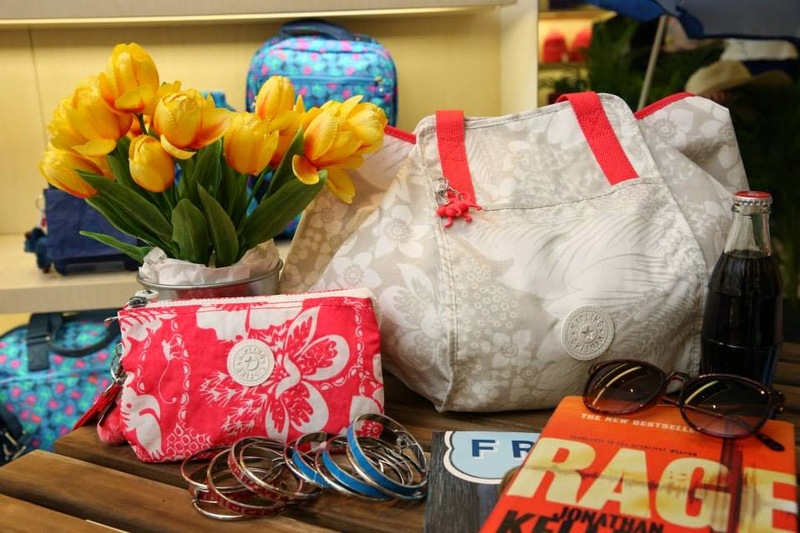 Don't miss this if you like Kipling bags! I love their Summer collection, cream color. With so many bags and accessories to choose from in the store, I admit that i'm really having a difficult time choosing something for myself, I stood there for a hour to pick what i really want. Handbags or travel bags or backpack bags. So ended up, i choose a handbag with straps & a neon yellow pouch! To keep my essentials such as passport, money, credit cards when i go to travel. I can also convert this bag into a shoulder or cross-over purse conveniently for going/dining out or other purposes. So many options in just one little bag. Awww, can't wait to bring it out! 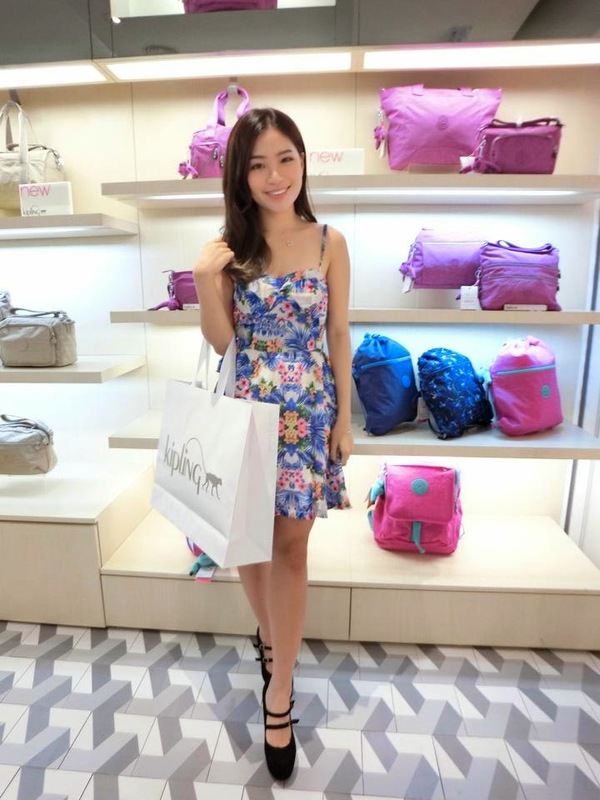 A happy smile with my first KIPLING BAGS! YAY! Once again, Thank You Kipling Malaysia for having us. It's an honor to be a part of the event. It was really awesome! Follow them in Instagram too! What i don't understood is in truth how you're no longer actually a lot morre neatly-favored than yoou may bee ight now. Its like women aand men are not fascinated unless it's something to accomplish with Lady gaga! Your individual stuffs nice. Always cazre for it up! 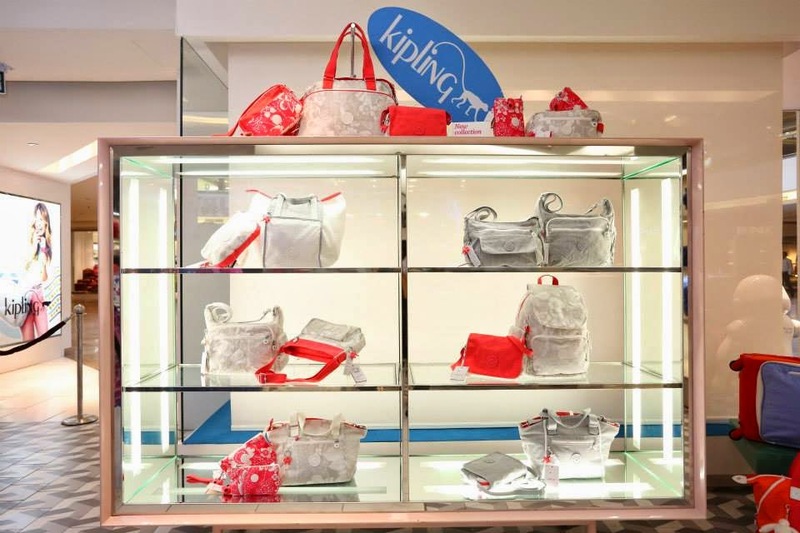 Hi, we are selling original Kipling bags imported from US/UK/EU. Very much cheaper than retail store. Please visit http://www.makngahoutlook.sto.my/ to view. All ready stock.